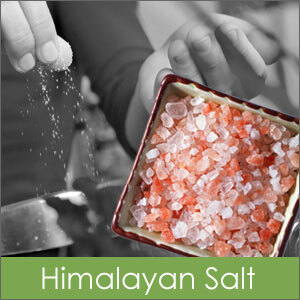 Himalayan Pink Salt is one of the purest salts one can added to one's diet. It is millions of years old and pure, untouched by many of the toxins and pollutants that pervade other forms of ocean salt. Known in the Himalayas as “white gold,” Himalayan Crystal Salt contains the same 84 natural minerals and elements found in the human body. There are numerous health benefits ranging from regulating blood pressure and insulin levels to aiding in vascular and respiratory health.